When Apple gave their keynote for the annual iPad event a couple weeks back, it only took them two minutes to introduce the new iPad mini 3, explain its features, and then transition on to their next point. By comparison, the iPad Air 2 (which many argued – and I agree – is the only new iPad from that keynote) took up around an hour of stage time. 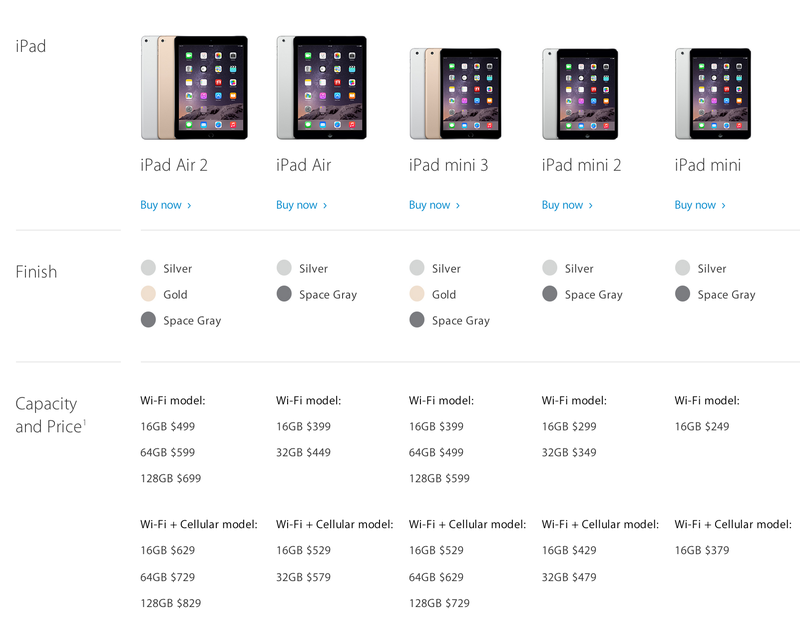 If it isn’t already obvious, let me spell it out: Apple doesn’t care about the iPad mini anymore. And that’s okay – in fact, they shouldn’t, for a number of reasons I’m going to list down below. But if they don’t care about the iPad mini anymore, the very least they should do is kill the product line, and not have to force themselves to produce more iterations of what is, in essence, the same old iPad mini. Worse still, since Apple forces themselves to produce new iPads every year (which in my opinion, they shouldn’t since iPads are more like Macs than iPhones – there’s no need to change them every year if they still work, since the work people are going to do on it are most probably non-essential), the product line is only going to get more and more saturated. At this point, they’re producing something new for the sake of it being new. If you wonder what that looks like in reality, look no further than the iPad mini 3 they just released: when compared to the version Apple released a year ago, the only new additions are the Touch ID sensor and a gold color option. Nothing else. And it’s supposed to be a “new” product. The need to produce a new iPad mini (or new iPads, for that matter) every year is, I’d argue, a huge distraction. Why not produce something great every two years instead of something mediocrely improved every year? It shows a shocking lack of focus within Apple’s culture. But putting that (rather major) annoyance aside, there’s huge reason why Apple should kill the iPad mini line: they no longer need it. When Apple introduced the very first iPad mini, there was a clear reason why: people wanted it, and Apple had to fend off the competition from lower-priced and smaller Android tablets. The iPad mini was there to save the day: it gave those who wanted a smaller, but lower-priced iPad the chance to get one. Apple no longer have those reasons now. The number of people who (when looking to buy a small tablet) choose Android has been declining rapidly. In fact, the numbers are so tiny that it shouldn’t make a company like Apple worry at all. What about those who want a small tablet running iOS? Well, there’s the iPhone 6 Plus! The iPhone 6 Plus’ screen isn’t all that smaller than the iPad mini’s, thus making the iPad mini (which people get mainly because of the screen size and the convenience that comes with it) a redundant product line. So the way that I see it right now, Apple’s only got two options: if they really want to keep the iPad mini product line alive, they shouldn’t force themselves to produce a new iPad mini every year. Release one every two years or so – when they’ve come up with something truly amazing and presumably worth more than two minutes of stage time. The alternative is to, of course, just kill the whole iPad mini line from their product lineup. If Apple choses to go down this path, the backlash with Apple’s fan base will undoubtedly be huge. But since the margins on the iPad mini are razor thin, the move will most probably make their shareholders happy. Apple should really consider doing either one of the above. Either that, or the next iPad mini will be met with the same unsatisfactory and lackluster reaction the iPad mini 3 got when it was unveiled.